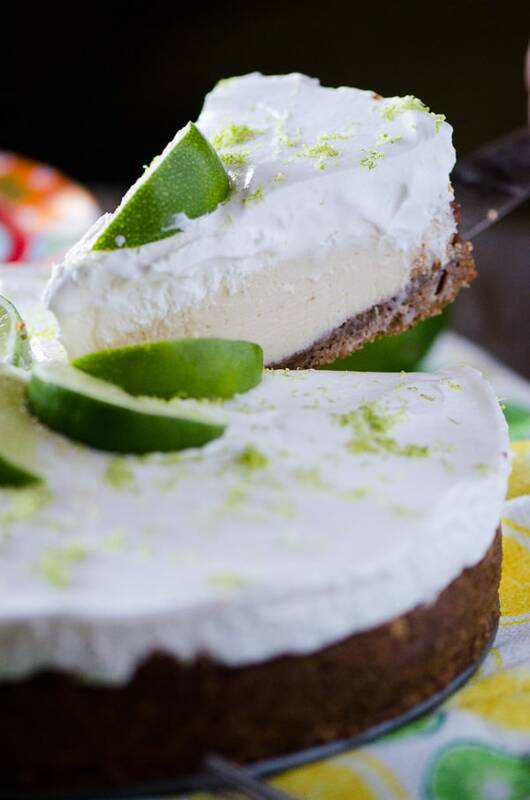 Sweet and tangy key lime filling, nestled in an almond graham cracker crust and topped with a generous helping of fresh whipped cream – the perfect Florida pie! I don’t boast that often about the recipes I share on my blog, but this one is worth tooting my horn about juuuust a little bit. When your husband tells you it’s the best version of his favorite pie that he’s ever had? Bragging rights, baby. 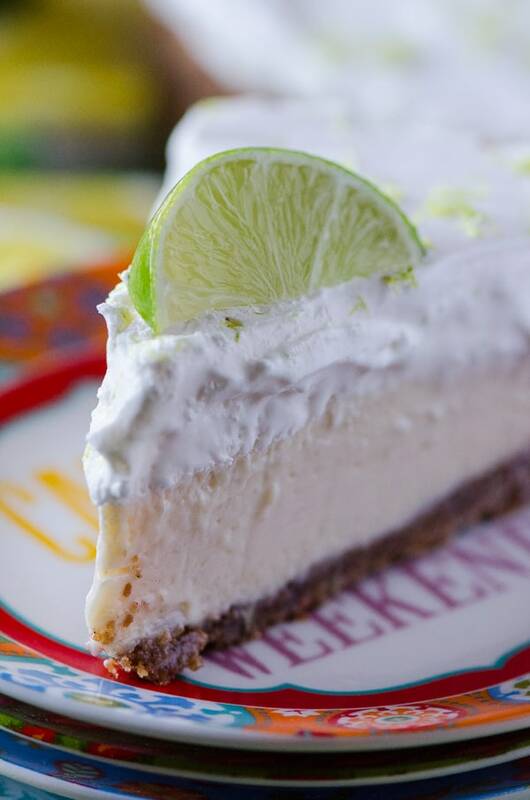 JUST TAKE ME TO THE KEY LIME CREAM PIE ALREADY! 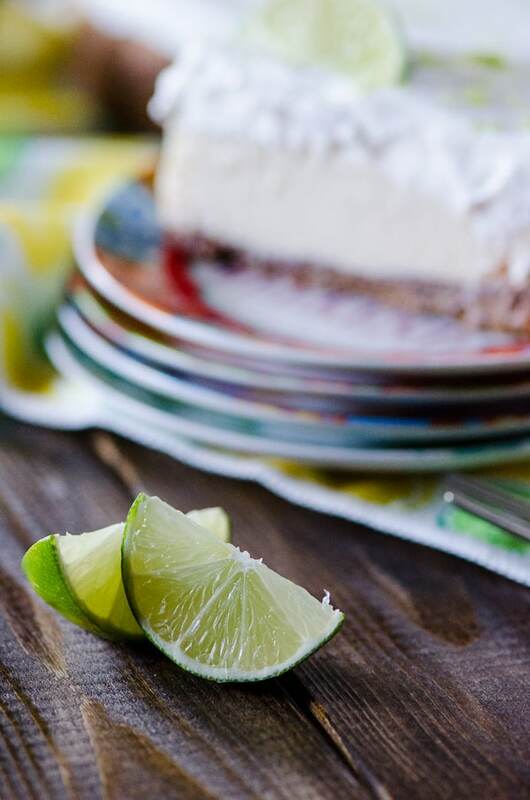 If you’d rather skip my (pretty darn helpful) tips and tricks, essential cooking info, and similar recipe ideas – and get straight to this deliciously easy key lime pie recipe, just scroll right on down to the bottom of the page where you can find the printable recipe card! This pie is certainly not groundbreaking. If you look up ‘key lime pie’ on Google, an endless amount of recipes will show up, many of them extremely similar to this one. Some might even be near identical. Made with fresh key lime juice and lots of thick, sugary dairy, this pie filling is the bomb diggity. It’s not to sweet, nor too tart, and is brightened up further with lots and lots of lime zest. Have we ever talked about how much I love citrus zest?? Ohmagah. Hopelessly devoted. And there’s so much whipped cream on this thing that I couldn’t resist adding ‘cream pie’ to the title. I wanted to pile even more on top just to mess with the ratio, but I ran out of heavy cream. When you make it, do so knowing that there’s no such thing as too much whipped cream. Go crazy. Oooh ooh! Brown butter almond graham cracker crust. We can’t forget that part. So very warm and toasty with a hint of cinnamon. A slice of this with a cup of coffee, a glass of milk, or a shared bottle of wine…whatever beverage you choose, just make sure you have a good view of a bit of Florida while you enjoy it, and you might think you’ve ended up there. LOOKING FOR MORE SUMMER PIE RECIPES? 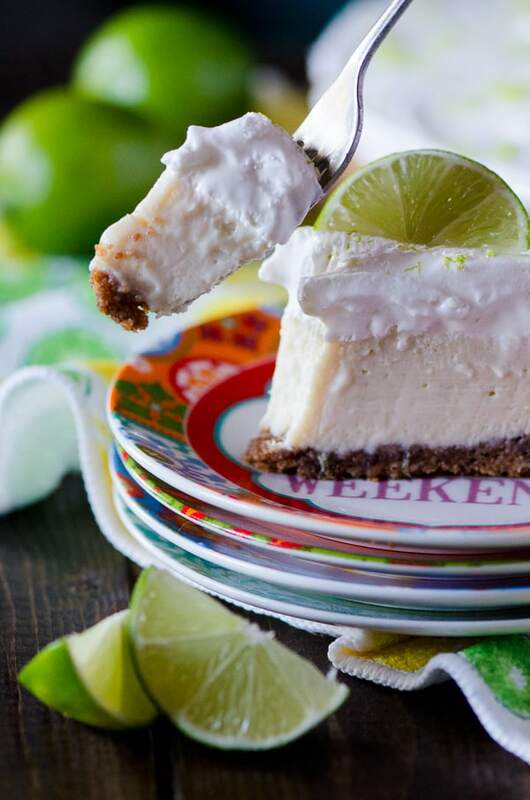 Key Lime Cream Pie | Sweet and tangy key lime filling, nestled in an almond graham cracker crust and topped with a generous helping of fresh whipped cream - the perfect Florida pie! Preheat oven to 350 degrees F. Butter an 8- or 9-inch springform pan and set aside. In a food processor, combine graham cracker crumbs, almonds, sugar, cinnamon, and salt. Pulse to fine crumbs. Add melted brown butter and stir with a fork until combined. Pour crumbs into prepared pan and, using your fingers, press mixture evenly onto bottom and up the side about 1-inch. Bake crust for 15 minutes. Remove from oven and allow to cool completely. 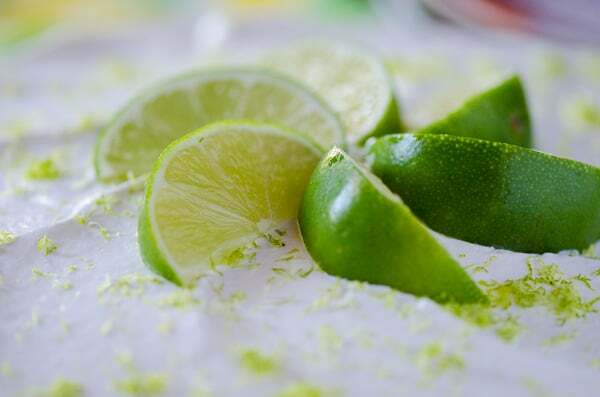 In a medium bowl, combine sweetened condensed milk, sour cream, lime juice, and 1 Tablespoon of lime zest. Mix well and pour into graham cracker crust. Bake 10-15 minutes at 350 degrees, not allowing the pie to brown. Turn off heat, crack oven door open, and allow pie to cool inside for 30 minutes before removing. Cool completely on countertop, then refrigerate at least 1 hour. In a clean bowl, whip cream and powdered sugar together to soft peaks. Spread on top of pie, garnish with remaining zest and lime wedges. Slice up and enjoy!! We’ve got plenty more regional specialties for you to browse – do you see any that you recognize? This is my all time fav pie!!! I love it!!! One of my favorite pies!!! Gorgeous! I love key lime pie. Whenever I see it on a dessert menu, i get super excited. My grandfather and I once fought over the last piece of a key lime pie my mom bought at the store. One of my favorite memories of him. 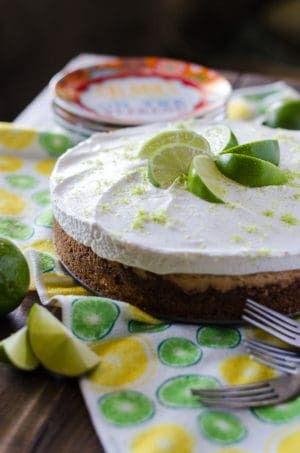 I love key lime pie! I also like them more tart then sweet. Can’t wait to try this! Wow. I want a huge slice of that pie! 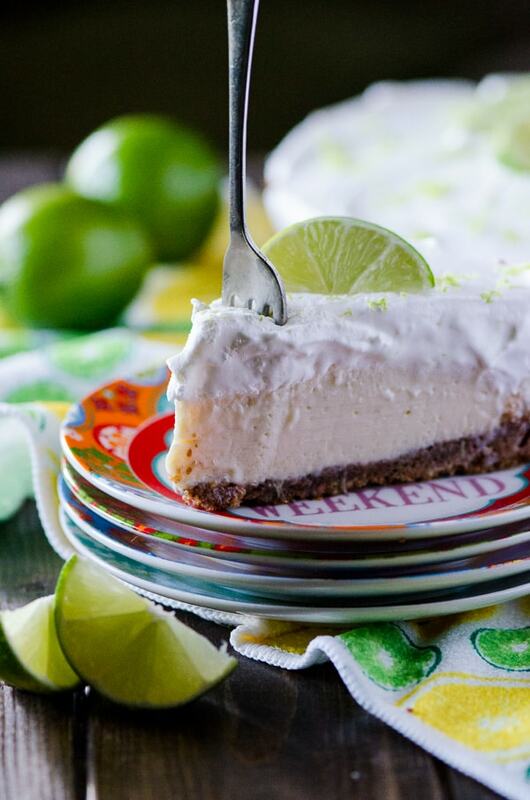 Oh boy, do I love a good key lime pie! I’ve been craving it lately, too. That crust sounds incredible! Wow! Yum! I’ve always wanted to go to Key West where these key limes are famous! 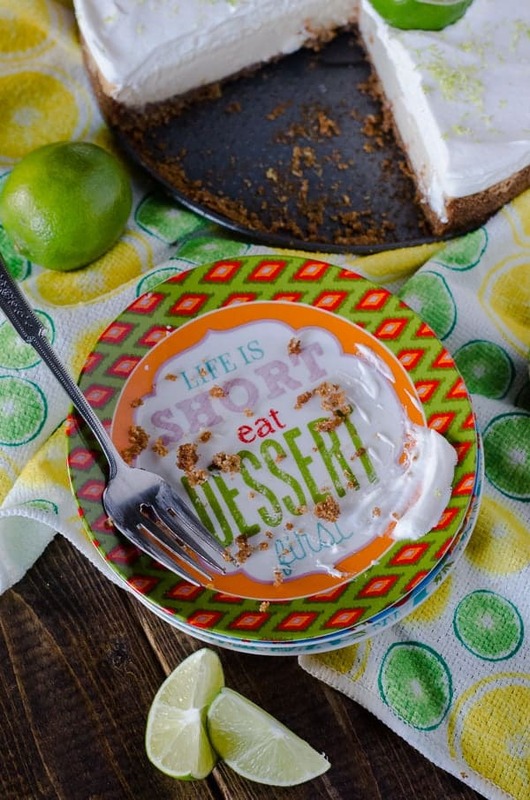 Key lime pie has always been a favorite of mine…I love the cream top on yours! Lovely recipe…can’t wait to try it! 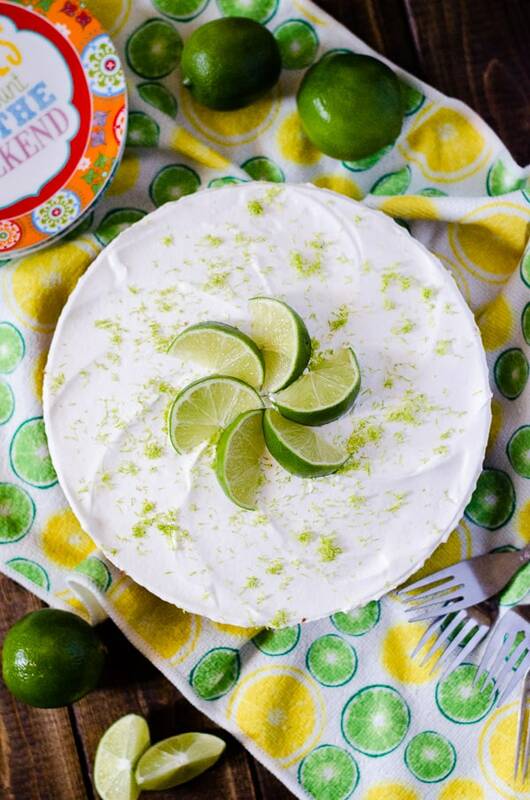 That crust, those limes! I am glad I don’t have to live in Florida to enjoy this! Beautiful photos! 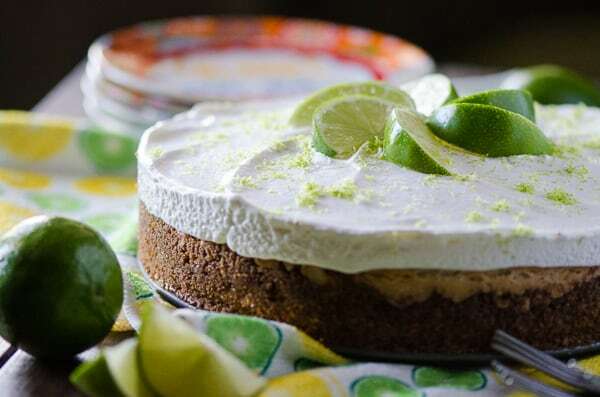 Nice twist on key lime pie! Toot away! This one is completely worthy. 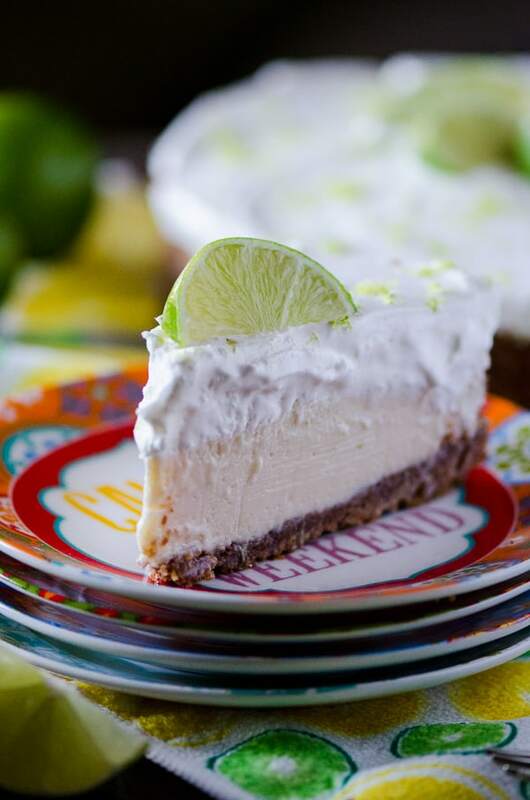 I love key lime pie and I so want to try your recipe! Wow, wow, wow, I want a big slice right now. 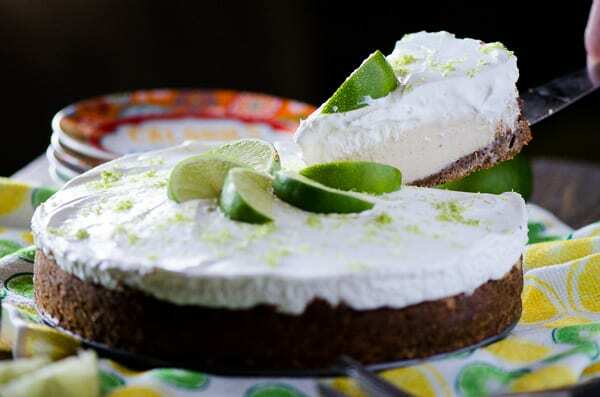 I love key lime pie! Thanks for sharing! I would love to make this for a holiday gathering but make little individual ones. How much would you reduce the cooking time?